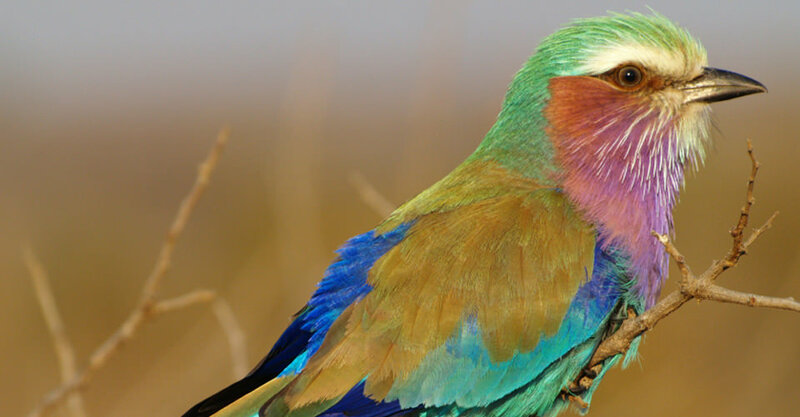 An Exciting Multi-Generation Safari to Several of East Africa's Best Wildlife Parks! Anthropologist Richard Leakey said we feel an affinity for Africa because it’s in our blood. In 1959, his famous parents discovered the jaw of a primitive human in Tanzania’s Olduvai Gorge, affirming Africa as humanity’s homeland. Africa is a place of ancient traditions, seasonal passages and long family lines. Wildebeest still thunder across the Serengeti, as they have for millennia. Parents and children share stories around starlit campfires as they have done for eons, tales still punctuated by the yips of hyenas and the roar of lions. The call of Africa is the call to come home, where children discover family they didn’t know they had. Why Choose Us for Your Family's Tanzania Safari? Most companies’ family safaris are standardized, large-group events. Our Family Tanzania safari is a truly custom affair, designed around the needs and interests of your family, including your preferred travel dates. You’ll have a private NHA Expedition Leader and vehicle throughout the entire duration of your safari, guaranteeing you the utmost in personalized attention. Though many companies offer family safaris where guests travel with 20 or more passengers in a parade of crowded mini buses, our Toyota Land Cruisers are custom-designed for bush travel and hold just four to five. That means that each traveler (children included) enjoys a window seat for uninterrupted wildlife viewing and photography. Depending on the number of guests, we may sometimes use a 7-seater stretch vehicle, which also has a window seat for each person. Our vehicles offer the utmost in comfort and safety on rough African roads: from extra suspension to window seats with superior springs and lumbar support, to graduated rows with individual roof hatches for uninterrupted views, you won’t find a better-equipped vehicle for watching wildlife. For larger family groups, depending on numbers, we may book additional vehicles rather than a larger vehicle, ensuring personalized, intimate wildlife drives with unimpeded access to wildlife viewing and photography. While we enjoy short, enriching drives between destinations in northern Tanzania—allowing flexibility with our time and sightseeing—we make the return trip to Arusha from the Serengeti by air. Many other companies opt to drive this long distance a second time, backtracking over country they’ve already covered, but we find it far more comfortable and convenient for our guests, especially when traveling in a family group, to fly back after your exhilarating days in the bush. During the high-season months of August through October, you will also fly the longer distance from Ngorongoro Crater to the northern Serengeti accompanied by your private guide, possibly even witnessing migrating herds from the air. Some companies that offer scheduled family trips stay in large, touristy lodges. Others use smaller, more authentic (and more costly) accommodations, but usually do not include a private guide and private vehicles. Our family safari uses an appealing balance of accommodations to achieve the best proximity to Tanzania’s highlights and wildlife and the most personal experience…all at an excellent value! From intimate Oliver's Camp in a remote sector of Tarangire National Park to the gracious ambience of Plantation Lodge and the wilderness immersion provided by our mobile migration camp, we choose properties for their prime location and distinct character. 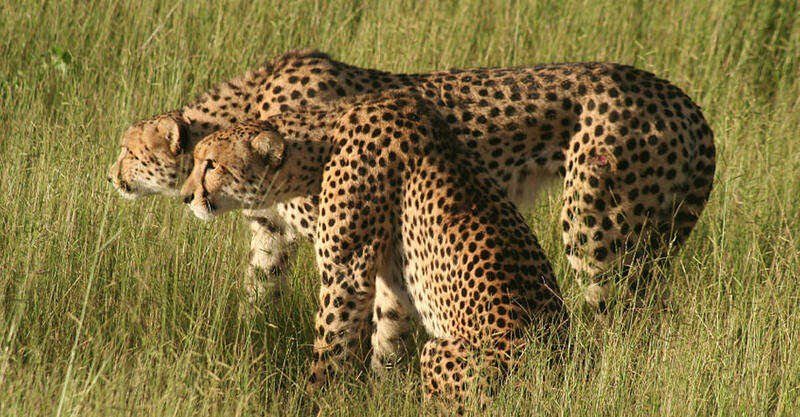 The Serengeti is one of nature’s great wonders, best experienced in a quiet, removed setting. Rather than stay at a large lodge with dozens, or even hundreds, of other guests, you'll enjoy a luxury mobile safari camp set in a remote corner of the Serengeti, for a genuine experience of the African wilds. Our tented camp is located in a secluded, scenic setting close to wildlife and far from other tourists. The camp is moved seasonally to follow the migration, so no matter what time of year you visit, you will be in the best place to see animals. And there's nothing like gathering around a campfire before falling asleep under canvas beneath a starry African sky, listening to the magical night sounds of the bush. There's no doubt about it; getting to Africa is a long and involved undertaking. And when you set off immediately on more long travel days with kids in tow, that's a recipe for tired, cranky travelers. We make sure your safari starts off on the right foot by giving you two nights in Arusha right at the beginning. Relax and overcome jet lag as you get your first glimpse of African wildlife close by in Arusha National Park. Natural Habitat Adventures is known worldwide for employing the finest naturalist guides on the planet! Our Family Tanzania safari includes your own private Expedition Leader, rather than a less-qualified local camp guide. 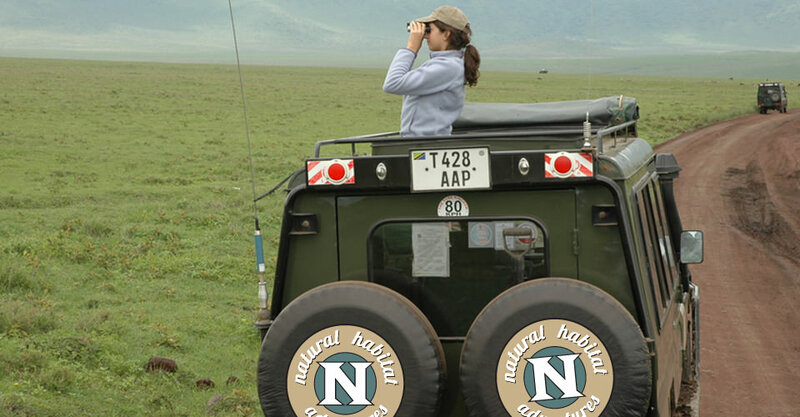 NHA Safari Expedition Leaders are the most highly trained guides in Africa, renowned for providing exceptional service. And the guides chosen to lead our family safaris have special rapport with kids and a knack for discerning and balancing the needs and interests of several generations traveling together. With your family from the moment you arrive until you depart, our Expedition Leaders average approximately 15 years' guiding experience in Africa. Their training is further enhanced by the resources of WWF’s premier scientists. We're proud to offer the lowest safari fares in the industry for children ages 15 and under. Check our value versus price paid—you won't find a better option! We care deeply about our planet, just as you do. When you travel with us, the carbon emissions from your trip are 100-percent offset—atural Habitat Adventures is the world’s first carbon-neutral travel company. Fill out the form below to receive additional information about our Family Tanzania Adventure—Custom Safari. 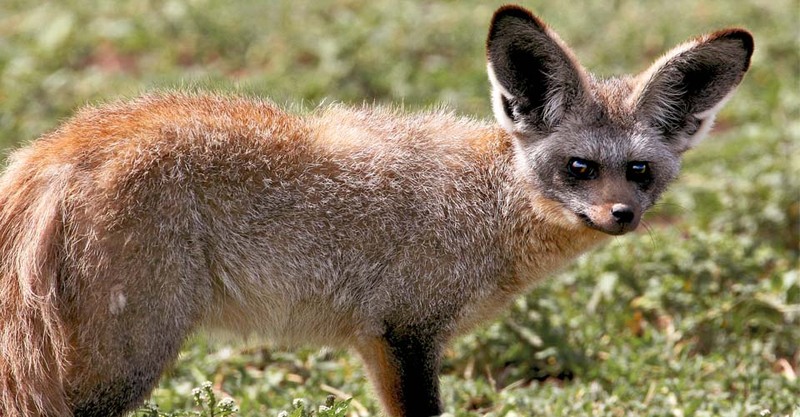 Hi Nat Hab, I’m interested in your Family Tanzania Adventure—Custom Safari. Can you please contact me with more information? I’d like to share Natural Habitat Adventures’ Family Tanzania Adventure—Custom Safari... You might be interested! You can also request Nat Hab's Catalog of the World's Greatest Nature Journeys for more information about the company's worldwide adventures.